Catch the showing of Philippe Garrel’s 1986 film Le Révélateur at the Crowley Theater on December 30, 2013. Doors will be opened at exactly 7pm and the show will start 30 minutes after. The admission for this event will be free. Since it is the fifth annual New Year’s film program of Ballroom Marfa, they will be hosting the free film screening of this 27-year old movie. Mary Lattimore, a Philadelphia harpist and Jeff Zeigler, a synth player will also be scoring the event. Le Révélateur is an experimental narrative film about Stanislas Robiolles, a 4-year old boy and his parents, Laurent Terzieff and Bernadette Lafont. Among other things, the film addresses a child’s perspective of seeing his parents make love. 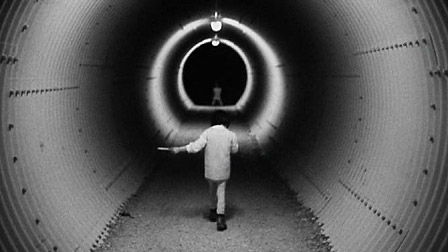 Cinematography was shot by Garrel and frequent collaborator Michel Fournier, who considers this film as their best work together. Shot in Munich, Germany, the film is intentionally silent and was made at 18 frames per second, the usual speed for silent films. The harpist for the event, Mary Lattimore, has performed and recorded with outstanding artists such as Thurston Moore, Meg Baird, Kurt Vile, Jarvis Cocker and Fursaxa. Her harp instructors were Ulrike Mattanovich of the Vienna Symphony, Kathleen Bride of Eastman School of Music and Luisa Prandina of La Scala. She has been included in the soundtrack of various works including the Valerie Project and the film score for Marina Abramovic: the Artist is Present. In March 2013, during the 100th anniversary of Grand Central Station in New York City, she accompanied Nick Cave’s beautiful horse sound-suits. Recently, she recorded her solo debut, The Withdrawing Room produced by Desire Path Recordings. Between his production work for local luminaries Kurt Vile, Jeff Zeigler has worked with Purling Hiss, The War on drugs and his space-rock outfit Arc in Round. Zeigler has also been experimenting in solo or collaborative experimental shows with Lattimore. He has played in opening for the English ambient artist Benoit Pioulard.